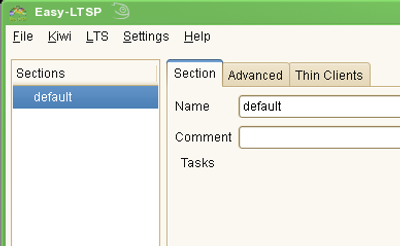 Here we will be looking at setting up LTSP server easy way using "Easy-LTSP" GUI. It is expected that minimum GNOME environment is installed on the server. 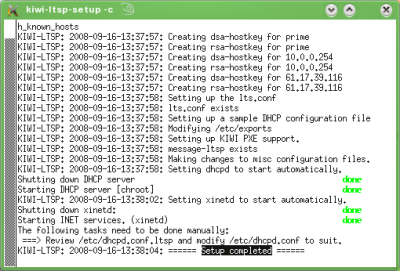 Check out Network configuration instructions before proceeding. 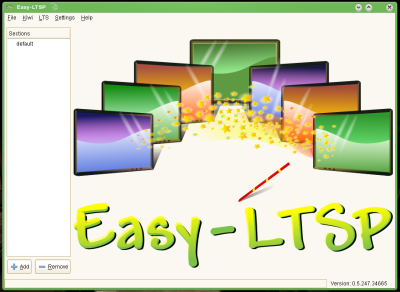 Launch Easy-LTSP GUI as root (open terminal, run "su -", provide root password, and then run "easy-ltsp" command). 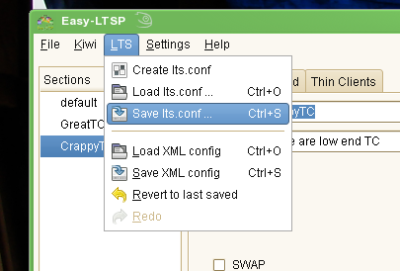 As everything in the client is auto detected you may not need to alter lts.conf at this moment, however if you require to change anything according to the hardware you have Easy-LTSP has great GUI to make quick changes. 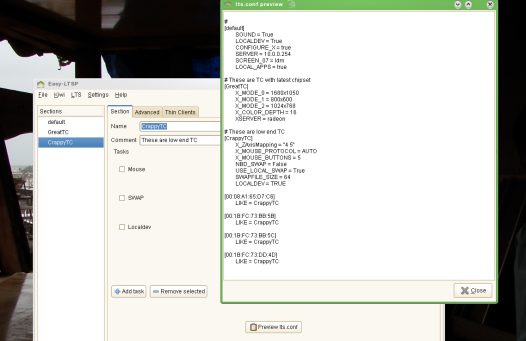 The configurations for the client behaviors are divided in "Sections". The "default" section applies to all clients. 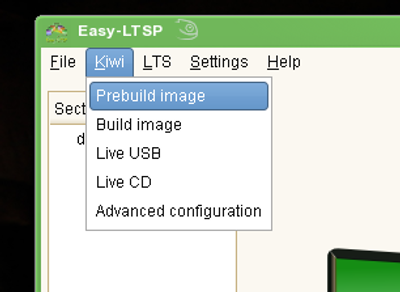 Add the section according to your hardware's requirements, the individual settings are called "tasks", such as configuring printer, swap, etc. This page was last modified on 15 February 2016, at 09:18.